Dr. Ed Menton was born in Oklahoma City, Oklahoma and raised in Dallas. 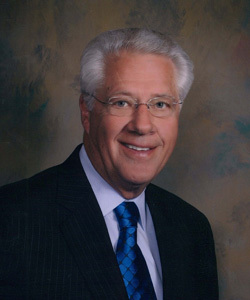 He is a Board-certified Oral & Maxillofacial surgeon who received his undergraduate education at the University of Texas at Arlington, and his Doctorate in Dental Surgery degree from Baylor College of Dentistry in 1966. He completed his Internship at the San Francisco General Hospital and his first year of residency at the Robert B. Green Hospital in San Antonio, Texas. His last three years of training was completed at Parkland Hospital in conjunction with the University of Texas Health Science Center. He started his private practice of Oral & Maxillofacial Surgery in Arlington, Texas in 1971. He is a diplomat of the American Board of Oral & Maxillofacial Surgery and belongs to a number of organizations: American Dental Association, Texas Dental Association, Texas Society of Oral & Maxillofacial Surgery, Southwest Society of Oral & Maxillofacial Surgery and the American Society of Oral & Maxillofacial Surgery. He is a member of the Fort Worth District Dental Society and the Arlington Dental Study Club. He has devoted his professional career to all aspects of his Oral & Maxillofacial Surgery practice with special interests in the treatment of dental implants, removal of wisdom teeth, oral pathology, bone grafts, removal of multiple teeth and preparing the mouth for dentures. To keep abreast of the latest developments in the specialty of Oral & Maxillofacial Surgery, he has always exceeded the continuing education requirements of the state of Texas. His hobbies include watching the Dallas Cowboys, farm and ranch work along with church activities. He has been married for 46 years to his wife Norma. They have three children: Brooke, Stacie and Jeff, and they have been blessed with three grandsons and one granddaughter. Bone Grafts, Pathology, Fractured Jaws & Pre-Prosthetic Surgery.